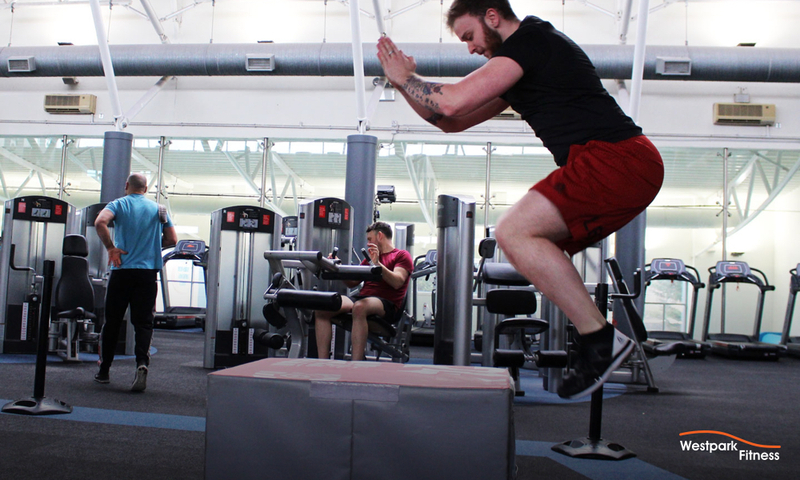 Work on your movement, strength and balance with the incredibly useful box jump exercise. This exercise only requires your own body and a soft plyometric box (which we have in the gym at Westpark Fitness) to complete. This blog post also contains pictures so you can see exactly how this should look as you complete it correctly. To begin with, make sure you have plenty of space all around you. Position the soft plyometric box straight in front of you. You will have to make a couple of practice jumps to gauge the perfect distance for you (as such, it is wise to start with the smallest of the boxes). So stand back from the box and then jump towards it to make sure you will land on it successfully. Make a note of this distance so you know where to stand when completing the exercise. Keep your feet shoulder width apart and start to get into a squat position. 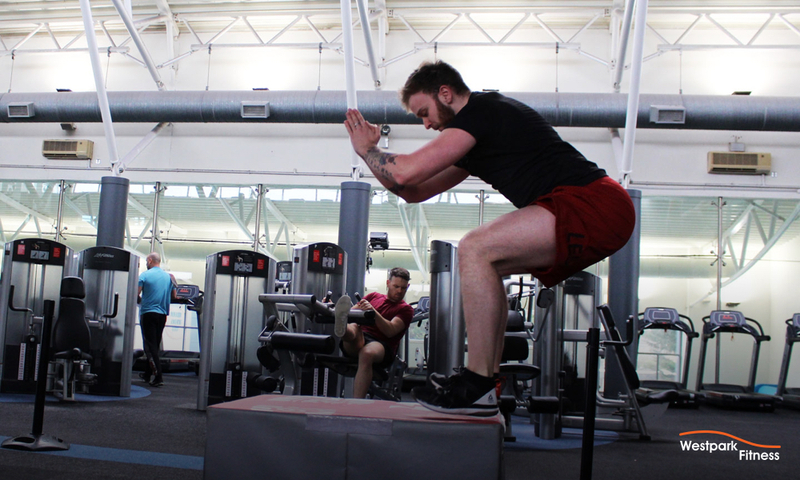 Spring back up outwards from the squat position and propel your body both upwards and forwards as you do so. One of the main things to remember here is to lift both of your legs. 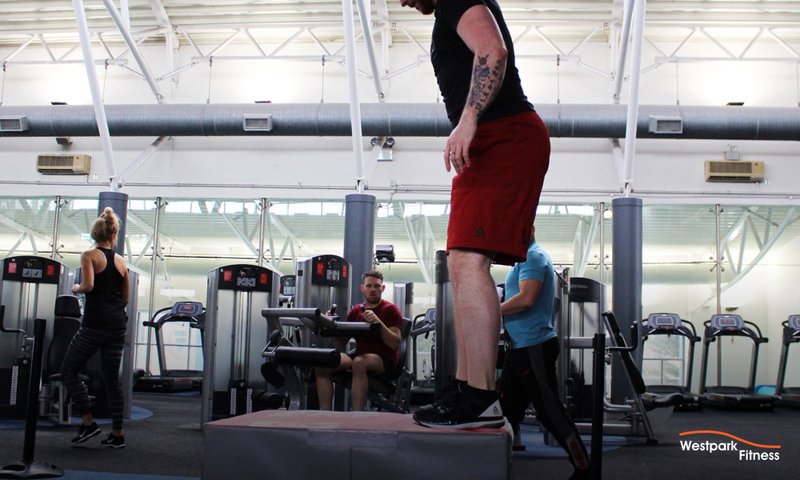 While this may seem strange at first as it may not be a movement that you are used to doing; it is an essential step when completing the box jump exercise. You should land with both feet on the box and then stand upright. This will take some practice to achieve perfectly – so please ask any of our fitness team for a demonstration and guidance. They are always happy to help! As you get used to the exercise, it is a great movement to incorporate into your routine to reach and maintain your health and fitness goals!